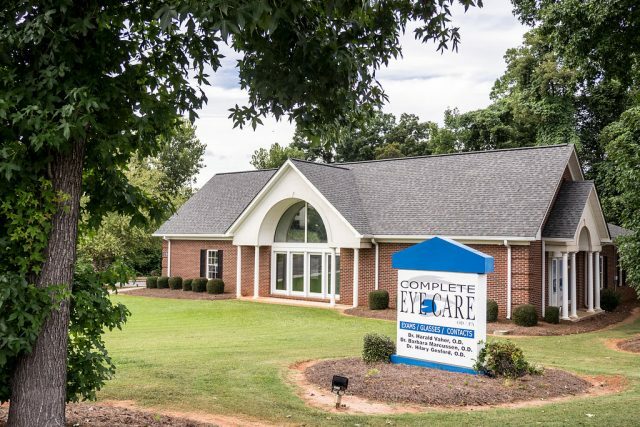 With an office in Belmont, Complete Eye Care is conveniently located to serve you. Our office is easily accessible from Gastonia, Mt. Holly and Charlotte, North Carolina. We also serve residents in Clover and Lake Wylie, South Carolina. Call us to make an appointment with our eye doctors to talk about your eyeglasses, contact lenses, specialty lens or vision therapy needs. You are also welcome to drop in anytime to browse through our large selection of designer eyeglass frames and sunglasses. Welcome to our Belmont location serving Charlotte, Mt. Holly and Gastonia, N.C. plus Clover and Lake Wylie, S.C.
* Saturdays - we are open, by appointment only. Are you looking for quality eye care, an amazing optical, and specialized advanced optometric care? We provide complete eye care to patients from Rock Hill.